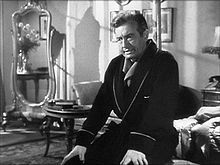 William Claude Rains (10 November 1889 – 30 May 1967) was an English stage and film actor whose career spanned 46 years. He was best known for his many roles in Hollywood films. He was a great influence on me. I don't know what happened to him. I think he failed and went to America. This page was last edited on 7 December 2018, at 19:34.